Search engine optimization (SEO) is a the “game changer” in the marketing industry. If you look 10 years back, you will notice that search engines were simply tools for users to look for their own agenda, whether they are doing research, looking for people, place, food to eat, or store nearby. With this high activity in the Internet, experts discovered how a website can benefit from these searches by applying SEO’s logic on each business’ website. This kind of marketing strategy to reach customers is purely digital. Google became a household name only at the beginning of the new millennium—year 2000. Although SEO started by mid-1995, it was only in the early part of the millennium where users discovered the usability of search engines, not only for their personal use but also for their marketing strategy benefits. Today, search engines like Yahoo, Bing, YouTube, and Google have taken the online platform by storm. Yet, as observed, Google has made the biggest revolution in terms of statistics and conversions. Building a website of any business is now imperative among business owners. Mainly because almost all people on the planet are found online. There is not a chance—if there is that could be so little—that a person cannot and would not experience using the Internet, visited websites, conducted studies using online libraries, bought products, and availed to services—all online. Search engine optimization is less costly compared to traditional knock-on door advertising, airing expensive ads on radio and TV, or cold calling—which are all outbound. SEO employs the inbound sales principle or the pull method. Instead of persuading customers, SEO slowly leads customers to the business’ website based on the customers’ personal decision. By then, SEO has enhanced and balanced the page so that it is relevant for that potential customer. Now, if the site contains considerable and reliable content, with customer feedback and reviews, customer experience is almost live, hence establishing customer base. The process may not be quick but it is a slowly but surely hit, yet an SEO expert can do all these. Adopting an SEO strategy brings a lot of benefits. But here are only the few and most viable returns. Cost-effective. SEO analyzes how many search terms are received in a given month. With such metrics, it can plan to optimize keywords to target those search terms to lead them back to the page, allowing for regular traffic. This long-term process produces constant flow of income. Staying on top of page ranking for a long time will boost your online presence among users. Increased web traffic. Traffic is increased and solidified when the correct search terms are used. Since SEO already knows what people “look for,” it builds and targets keywords that are highly relevant or direct, thereby subtly encourages them to visit your website. Increased ROI. These three benefits will lead to increased sales. Web visitors are all potential customers. If these people are converted, then sales will flow naturally and constantly. Reaching the top of search engines may take a while. But with a good SEO company, all your money’s worth will be expended on the right target. No money wasted and futile effort with an SEO expert. 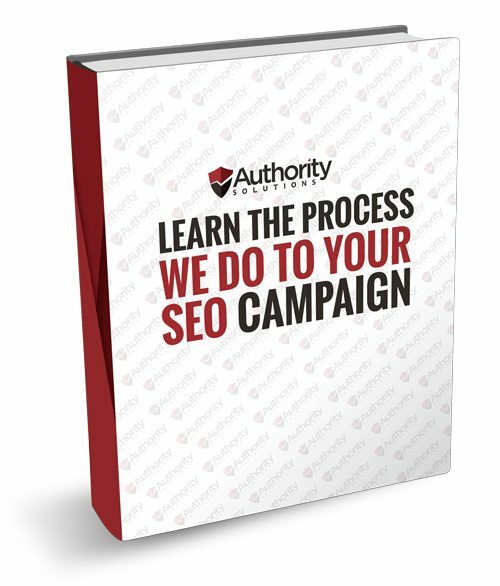 If you want to learn more of the intricacy of SEO and you feel less confident in adapting to this new marketing strategy, Authority Solutions™ will get you right through it. 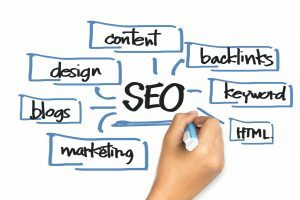 Contact us and to learn the art of SEO and how it can increase your web traffic, sales, and ROI.